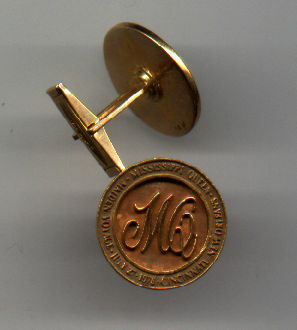 18k gold cufflinks commemorate the launch of the Mississippi Queen. Silver charm purchased aboard the Delta Queen in 1996. The paddlewheel turns. 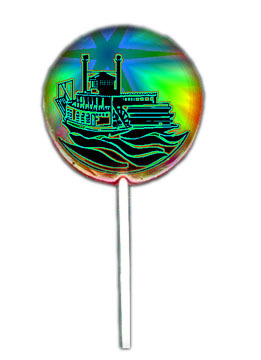 100% Edible Holographic Lollipop ~ 3 in. diameter pop contains 2 oz. of candy. Was at one time available in custom bags for promotions, events and retail sale, starting at $2 each in lots of 500 or less. Learn more about Eric Begleiter and his holograms: article in the Cincinnati Enquirer. 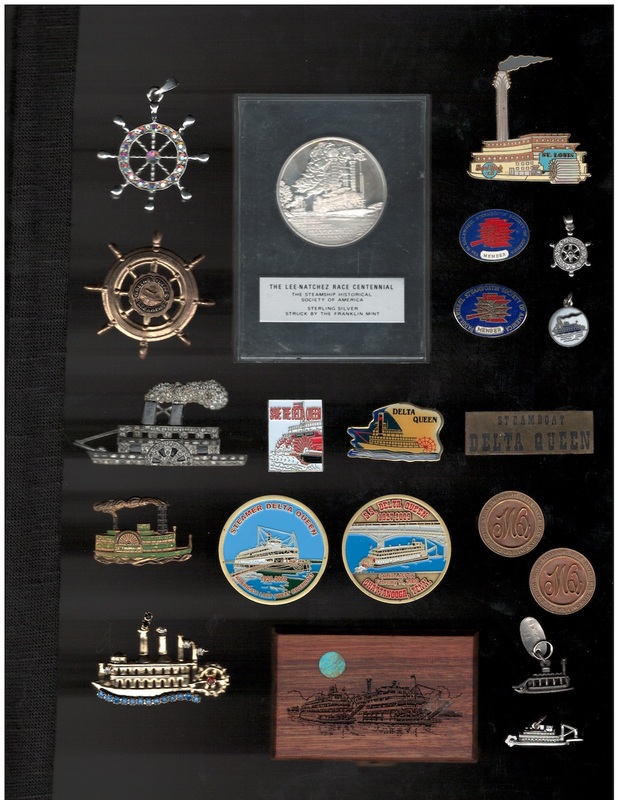 Weems and Plath Steamboat Clock also available: Steamboat barometer.